This is a donation receipt for Mrs. Hawkes for one hundred and fifty dollars. 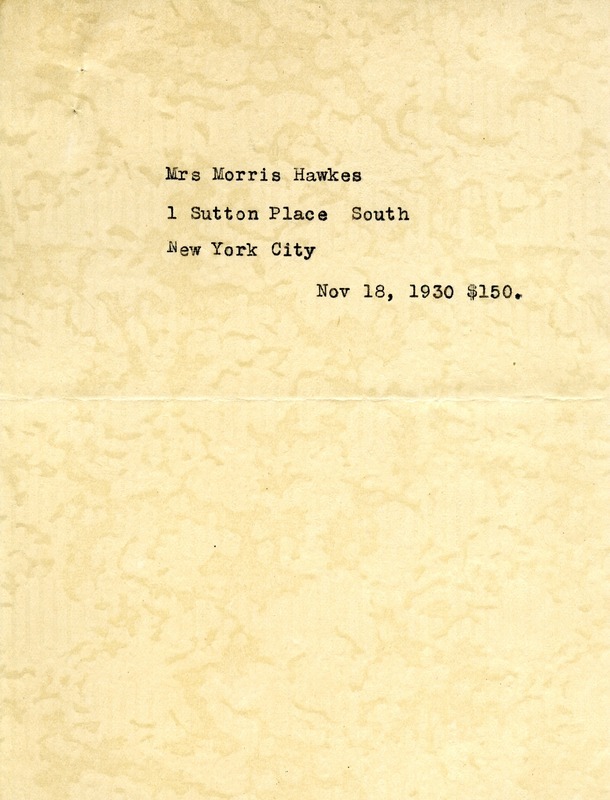 Mrs. Morris Hawkes, “Donation receipt from Mrs. Hawkes.” Martha Berry Digital Archive. Eds. Schlitz, Stephanie A., Jordan Brannen, et al. Mount Berry: Berry College, 2013. accessed April 24, 2019, https://mbda.berry.edu/items/show/12796.